Goold Wells & Pumps is a family-owned well company that has been providing property owners with superior service for 90 years. Our dedicated professionals offer well drilling, water testing, hydrofracking, water filtration, well pump service, and more. Contact us today for assistance in Albany, Valatie, Grafton, and beyond. Everyone deserves access to safe, clean water. 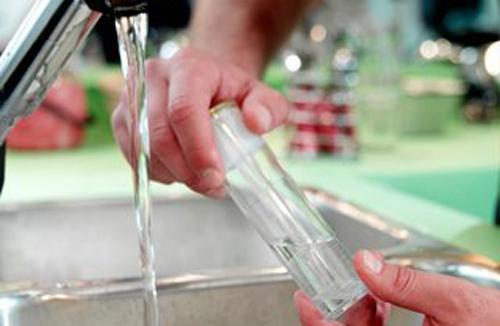 At Goold Wells & Pumps, we use our in-depth knowledge of well construction, design, repair, and maintenance to help property owners in the Capital Region and the Berkshires enjoy complete satisfaction with their well water quality and delivery. Our well company doesn’t see our customers as a series of obligations that must be completed simply so we can call it a day. Rather, we see our customers as members of our community who need our help to receive excellent water service, and we will do whatever it takes to make that happen. Every project we undertake is completely customized to match the task at hand, so whether you’re looking for a new well installation or want to solve problems with low water pressure, you can count on us for long-term solutions tailored to you. Call now for more information! My home in Castleton on the Hudson is over 100 years old and only has a shallow, hand dug well. It worked alright until the water started running low last year. After talking to several well drillers and homeowners, I was sure a new well was going to cost me $20,000.00 to $30,000.00; if I could find water at all. Then, I called Goold Wells and Pumps. They are the BEST. They found 20 gallons per minute on the first try and only needed to go down 121 feet. It is now hooked up and perfect. They had to dig a long pipeline and cleaned it back up so all I need to do is spread the seed. He has a ten person crew, and all of them are great professionals. I have a new pump and tank, and the whole project cost less than $8,000.00. That's right, I said $8,000.00. Thank you Walter Goold and all of your wonderful workers. Excellent and knowledgeable service. From the well drilling 49 years ago when my parents built the house to the water filer installed to handle a slight sulfur issue, the Goold's have taken care of our water system. Everything from the well up to the house plumbing has been serviced and installed by the Goold family. Always there have been there for us in emergencies too. Recently we had a sulfur smell that could be significant when washing clothes. Rick recommended a filter as the level of sulfur was quite low (but the smell was larger than life!). Last week the filter was installed and , as usual, the results are just GREAT! Good people to do business with! Goold Wells and Pumps provides excellent service. When our 25 year old well pump finally expired, Goold responded promptly to the message we left on their answering machine. They arrived early the next day, assessed the situation and installed a new pump. Thank you, Goold staff! Goold Wells & Pumps has been assisting customers since 1928. As the well company has passed from one generation to the next, water well technology has continued to advance. Goold Wells & Pumps has always been keenly aware that new equipment and techniques are constantly in development. That is why we make it a point to keep our well contractors completely up to date on the newest industry breakthroughs. Our cutting-edge equipment, like our camera scopes, allows us to provide customers with the most effective and accurate service possible. 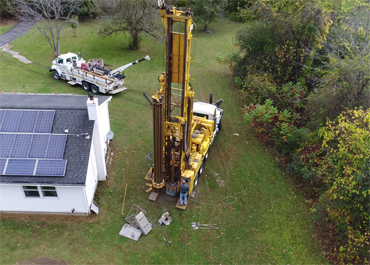 State-of-the-art equipment is just another way we demonstrate our long-standing dedication to providing our neighbors with the very finest in well drilling and water improvement services. We also make sure to stay current with all certifications and licensing required by the National Ground Water Association. Goold Wells & Pumps is a fully licensed, bonded, and insured well company that serves property owners located throughout the eastern Capital Region and the Berkshires. Call today for help in Albany, Valatie, Grafton, Copake, Great Barrington, North Adams, and nearby communities. When you choose Goold Wells & Pumps, you are choosing friendly service from dedicated well contractors who want the very best for you and your home or business. We are dedicated to providing each and every customer with nothing less than the very best in craftsmanship and care, right down to the tiniest details. 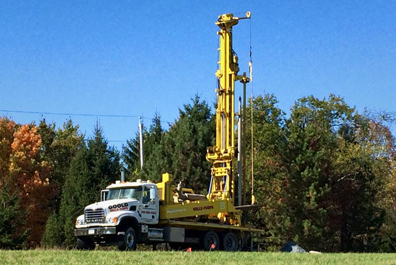 Please contact us today to hear more about well drilling, water well fracking, well pump installation, or any of our other excellent services. One of our representatives will be more than happy to assist you!